ELORA FIRST HIT MY RADAR YEARS AGO, when the Elora Quarry (above) became a popular day trip for hipsters in my town – a spectacular local swimming hole with steep cliff walls and a tidy little beach at the end, fed by the adjacent Grand River. 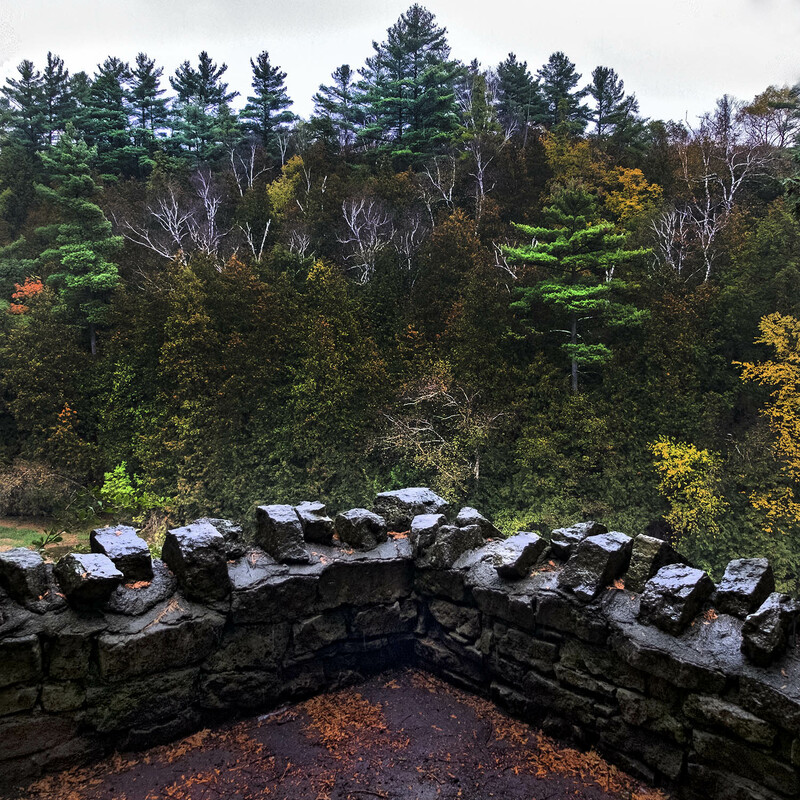 But it’s just one feature of the photo-rich landscape around the towns of Elora and Fergus, conveniently accessible just a few hours from Toronto. The cause of it all is the Grand River, which begins near Dundalk and meanders roughly southeast till it empties into Lake Erie at Port Maitland. 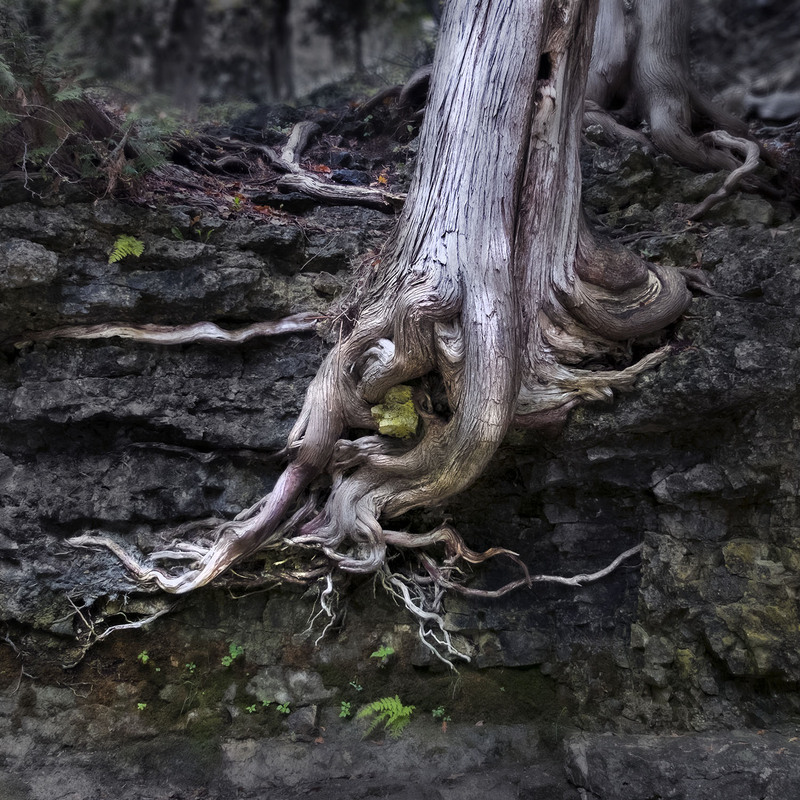 But it only gets exciting in the stretch roughly between Fergus and Elora, where the river cuts deeply through layers of ancient limestone as it picks up speed. 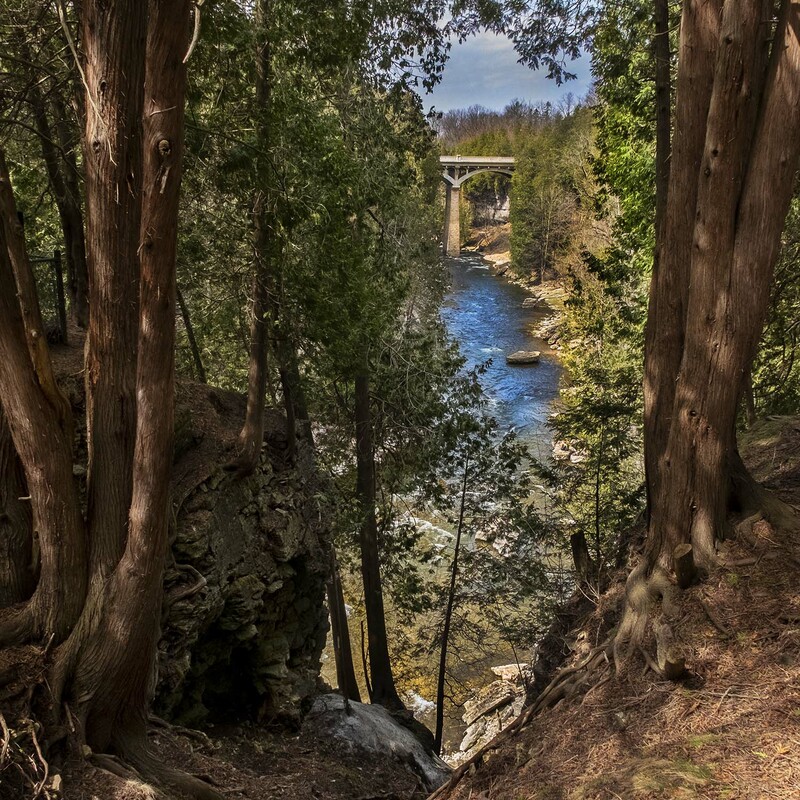 This is the Elora Gorge, and it’s pretty jaw-dropping. 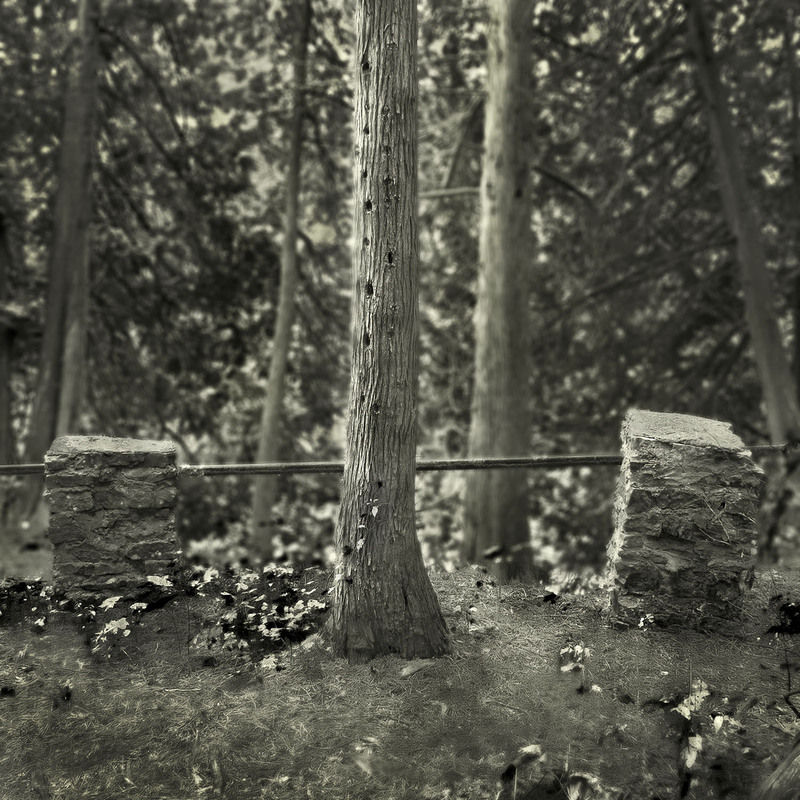 A tour of the most spectacular spots in the Gorge starts in Fergus, at Templin Gardens – a riverside attraction built in the 1920s and much loved by wedding photographers. If you’re in the area on a weekend, you’ll probably be dodging wedding groups wherever you go – it’s one of the province’s most popular destination for nuptials. 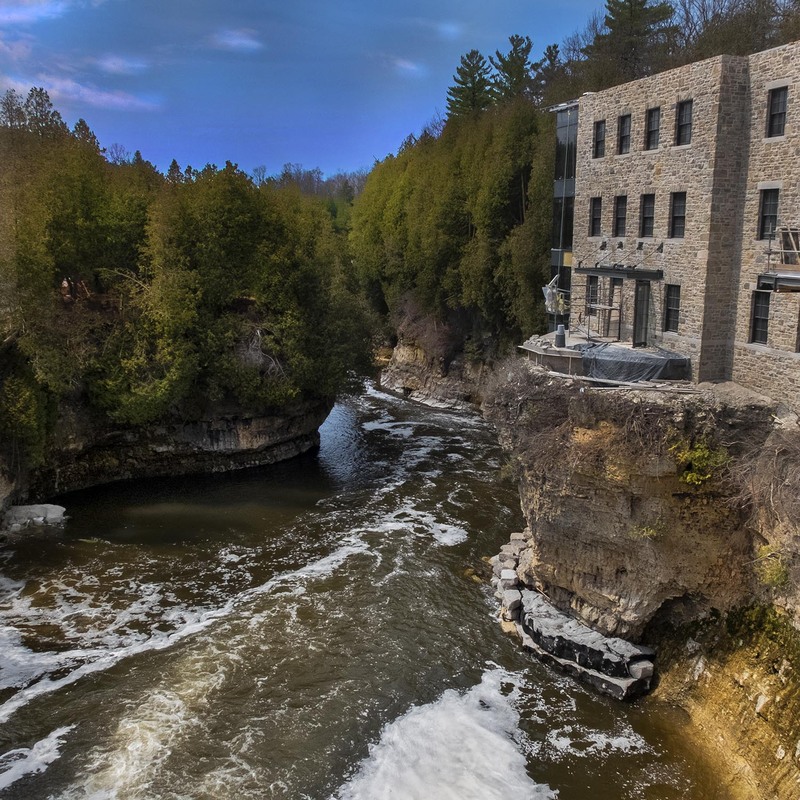 Downriver at Elora – a thoroughly lovely little town, and famous for being just that – the next great views of the Gorge are at the Mill, a historic grist mill recently renovated into a deluxe boutique hotel. A short walk takes you to the Lookout in Victoria Park, where a path leads down to the bottom of the river gorge and the town’s famous view of the David Street Bridge, also a hot spot for wedding photos. 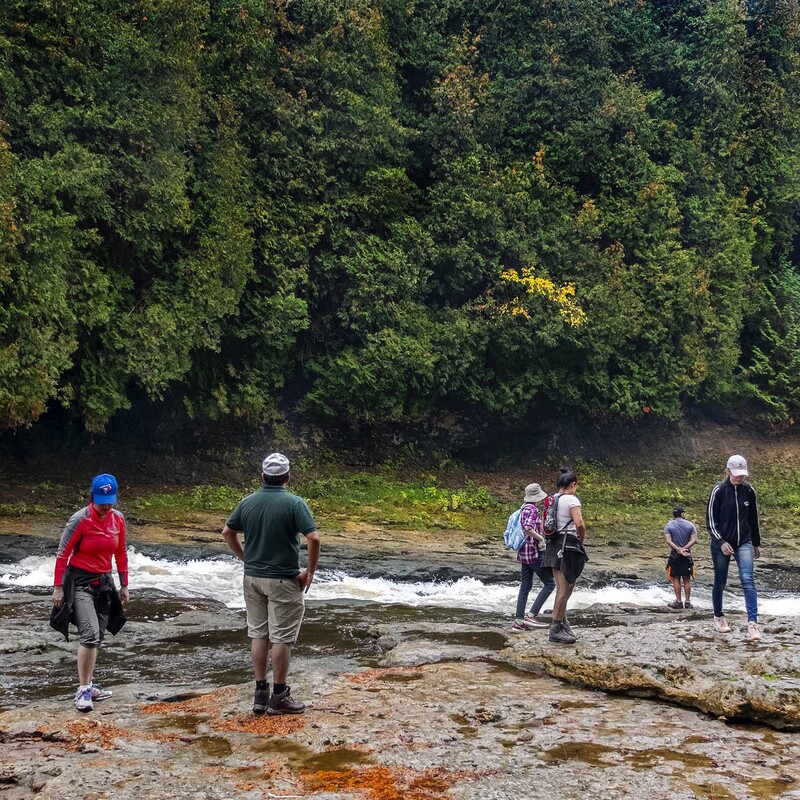 But make sure you get to the Elora Gorge Conservation Area, which takes in the wildest stretch of the Grand as it cuts through the ancient rock. There are campgrounds if daytripping isn’t enough for you, but put on sensible shoes and take the long hike through the park that surrounds the edge of the gorge. I walked the Gorge in the fall, just when the leaves were starting to turn, and I found it magical – an enchanted forest where the path opens up regularly to incredible views across the river. But the best views up and down the Gorge are at the tubing launch, where the water flows across the hard bedrock at the bottom of the river and silvery trees cling to the limestone walls.